I’m a huge fan of 1:1s since being introduced to them a few years ago. At first, I viewed them as a great mechanism to check in with team members on a regular basis. We’d review work and get caught up on projects and initiatives. But slowly I’ve embraced the “Make it Awkward” approach, as outlined in a great Medium post from Mark Rabkin. 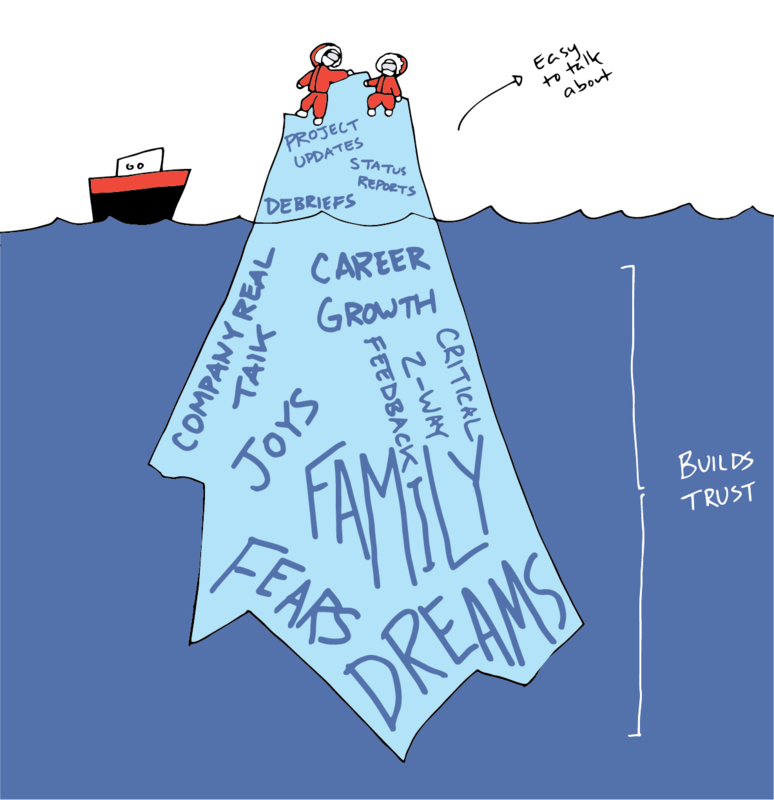 In short, the goal is to get to the stuff underneath the surface. What makes your report happy? What are they frustrated about? Are they growing in the ways they want to grow? There’s fertile, human stuff in this territory that builds trust. And as just about every management book and guru ever will tell you, trust is the cornerstone to a successful team. What’s one aspect of your job where you would like more help or coaching?